There’s no doubt gardening can refresh your mind and spirit. Digging the soil, planting flowers and vegetables and watering them are an instant mood-booster. Your day looks brighter when you see your plants greeting you a pleasant morning. But aside from the mental and emotional benefits that gardening provides, did you know that it has a positive effect on your health as well? Yes. Gardening doesn’t just improve your surroundings but also your health as well. Stress and anxiety, if not managed property, can bring harm not just to your mental and emotional state but to your physical health as well. It can lead to eating and sleep disorder as well as conditions such as hyperacidity, hypertension, heart disease and a lot more. Spending time doing lawn care at the end of a crazy day can lower your stress and anxiety. Having some fresh air and the physical activity required in gardening are an instant mood-booster. A study conducted where participants went through a stressful activity and then asked to spend 30 minutes gardening while the others were asked to spend 30 minutes reading afterwards showed some interesting results. 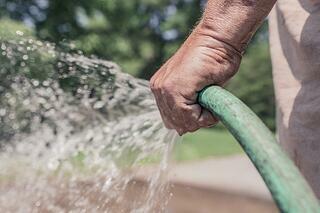 Both activities reduced stress, but those participants who spent gardening had a bigger impact. Humans have always found healing and tranquility in nature. Gardening is not only a good physical activity but it also has a positive effect in our mental health. Just like yoga and meditation, gardening gives us the opportunity to think and focus clearly. It can also lower your risk of Alzheimer’s one study shows. Other research finds that gardening is a good activity for patients with dementia and improves their overall wellbeing. Spending time mending your garden every day can improve your quality of sleep. The physical activity required in gardening can tire you out and when you’re tired, you get knocked out earlier. Digging, planting, watering and cutting dried leaves are no easy job. Even Samson would need to get some rest after spending some time in the garden. Since it’s a good form of exercise, you will get better sleep as a result. Another reason why gardening improves your quality of sleep is its ability to reduce stress. When you’re calm and at peace, you will have no trouble going to the dreamland. Sure, brain exercises will keep your mind sharp. Spending time answering mathematical problems will harness your brain’s capacity. Gardening, on the other hand, offers a sweet alternative way of keeping your mind sharp. It improves your brain health and provides significant stimulation for your brain. According to Huffington Post, gardening improves your mental clarity as well as promotes learning, problem solving and sensory awareness. Garden fanatics noticed an improved concentration and ability to recover from a mental fatigue. That’s because gardening requires brain stimulation as you have to plan what to plant and schedule gardening tasks and activities. Gardening is not just a fun physical activity but it also helps you with choosing healthier food choices. It’s easy to prepare meals that are healthy and good for the body when you have vegetables in your garden. When you grow your own food, good nutrition follows as it helps you eat more fresh fruits and vegetables. You appreciate and savor the food more because you know how much effort you took to get them to the table. Start developing a green thumb now and learn the habit of gardening. You’re not just helping Mother Earth through gardening but you’re also helping yourself to become healthier. Plant your first flower or vegetable now and live a happier and longer life. 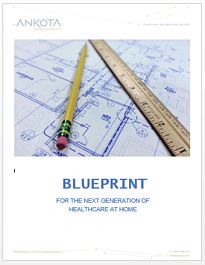 If you are looking for some reading material, Ankota's latest eBook, Blueprint for the Next Generation of Healthcare at Home is available by clicking the previous link or the picture below.